Dozens of explosions, apparently triggered by a natural gas pipeline rupture, rocked three communities near Boston. They left at least one person dead, injured 12 more and prompted the evacuation of hundreds. The blasts left dozens of homes and other buildings demolished or engulfed in flames. Firefighters from some 50 departments raced for hours from one blaze to another. Service providers rushed to shut off gas and electricity in the area to prevent further ignitions. 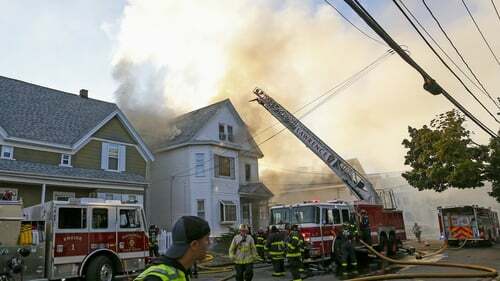 Fire investigators suspected "over-pressurisation of a gas main" belonging to Columbia Gas of Massachusetts led to the series of explosions and fires, Andover Fire Chief Michael Mansfield told a news conference. Columbia Gas announced earlier that it would be upgrading gas lines in neighbourhoods across the state, including the area where the explosions occurred. However, it was not immediately known whether any work was being done in those communities at the time. The US Department of Transportation's Pipeline and Hazardous Materials Safety Administration said it was sending a team to support the state's emergency response efforts. Lawrence General Hospital said on its Facebook page it treated 13 people, including one firefighter, for injuries ranging from smoke inhalation to blast trauma. One of those patients, who was in critical condition, was transported to Massachusetts General Hospital in Boston. Officials told Reuters that patient later died. He said that fire companies responding to blazes were putting one house fire out only to discover another house on fire as they finished their work. "This event is not over tonight. This event will probably go on." Some 50 fire departments responded to the emergency, said John McArdle, fire chief of Plaistow, New Hampshire, which sent a tower ladder and engine crew to the scene.